You could win $1,300 worth of premier house cleaning services, using 100% natural cleaning products made with organic ingredients and a gift basket of $200 worth of Aspen Clean products. Certified by Ecocert, rated straight A’s by the EWG. 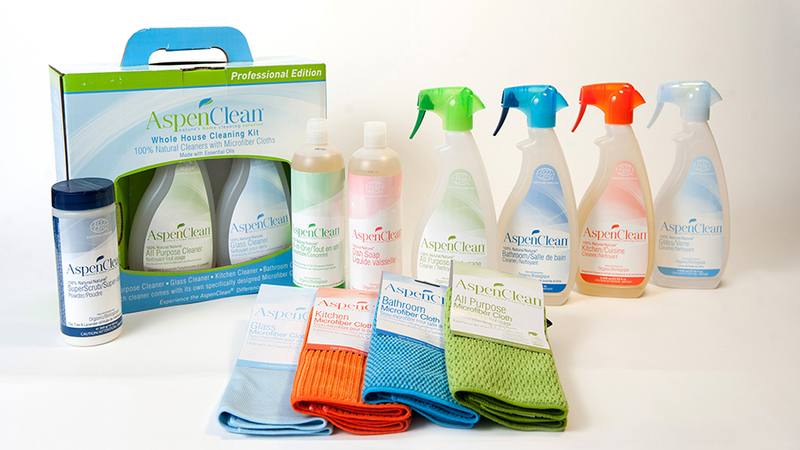 Book your service and order your products online at cleaningproductsca.aspenclean.com or visit any of the participating retailers. Cleaning services are only available within service areas. For more information, visit cleaningproductsca.aspenclean.com. Enter your ballot at the 680 NEWS booth #1008 during the Green Living Show (April 6 - 8) for a chance to win! No purchase necessary. Contest closes at 11:59 p.m. ET on Sunday, April 8th, 2018. Enter your ballot for a chance to win Aspen Clean house cleaning services and a Complete Home Kit, including: four cleaners combined with color-coded microfiber cloths, kitchen spray & microfiber kitchen cloth, bathroom spray & microfiber bathroom cloth, glass spray & microfiber glass cloth, all purpose spray & microfiber all purpose cloth, dish soap, and super scrub powder. Approximate retail value is $1,500.00CDN. Odds of winning depend on number of eligible entries received. Must correctly answer a mathematical skill-testing question to win. Contest open to residents of Ontario within the terrestrial broadcast radius of 680 NEWS who are 18 or over.680 NEWS Contest Rules.